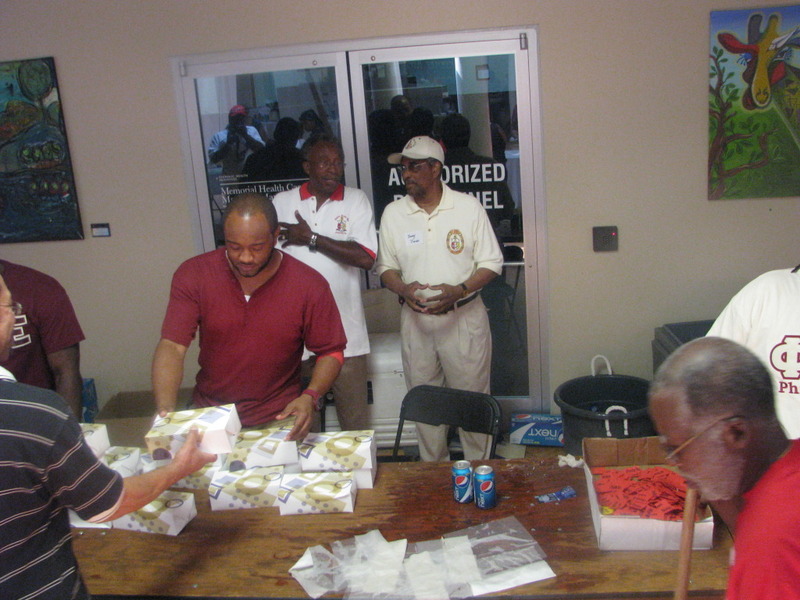 GIVING THANKS YEAR ROUND - Chattanooga Alumni Chapter Kappa Alpha Psi Fraternity, Inc. The members of the Chattanooga Alumni Chapter have dedicated ourselves to assisting the Chattanooga Area Food Bank with monthly support in Food Drives. We feel that servicing the Food Bank, not just during Thanksgiving, but all year will continue their efforts in feeding families across our county. We have solicited the support of the local NPHC with the creation of our Annual K.A.O.S. Basketball Tournament where local fraternities compete in a basketball tournament to collect canned goods.